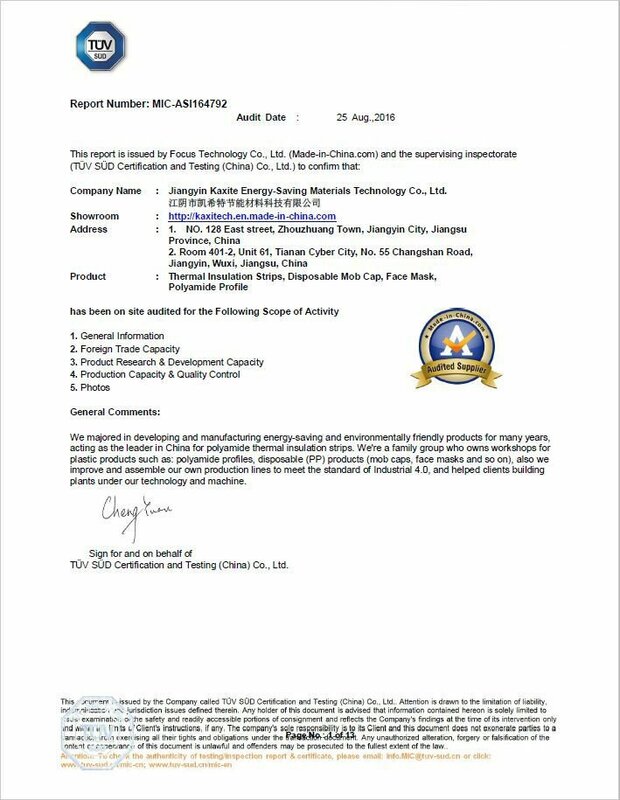 Company Overview - Jiangyin Kaxite Technology Co., Ltd.
2YRSJiangyin Kaxite Technology Co., Ltd.
ABOUT KAXITE TECHNOLOGYJiangyin Kaxite Energy-saving Materials Technology Co., Ltd (abb. 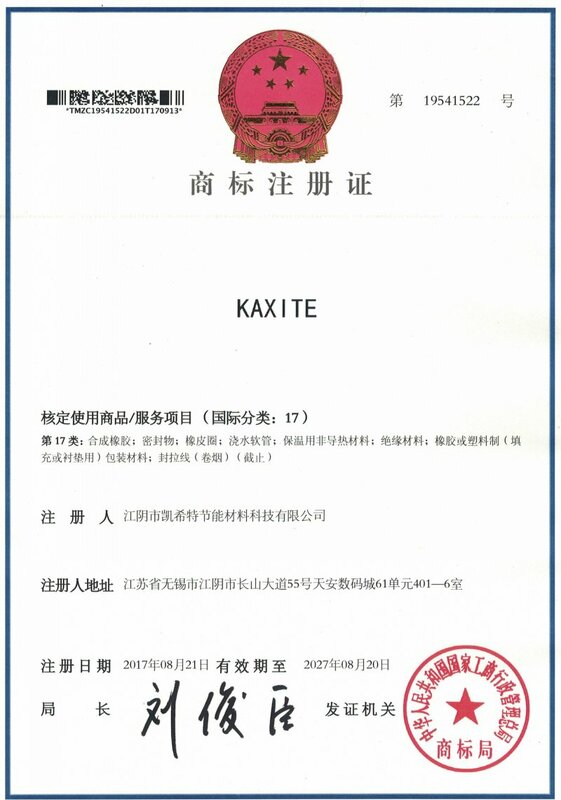 : KAXITE TECHNOLOGY, KXT-TECH) was originally a family business, developing since 2001, now acting as a group, who has her own two divisions, Plastics Extrusion Division, Non-woven Division, and some high-tech cooperation projects, which supported by Nanjing University Of Science and Technology, Jiangyin Technology Bureau, Guangdong Nonferrous Metal Research Institute...It is developing so fast and there're more than 150 employees in the group, with 2 factories, 3 offices, and 1 cooperated factory, 2 cooperated laboratories, all are located in China.ABOUT PLASTICS EXTRUSION DIVISIONThe Plastics Extrusion Division (used to be PA66 Profile Division) of Kaxite Technology was developing since 2001, also is the earliest project in the group. 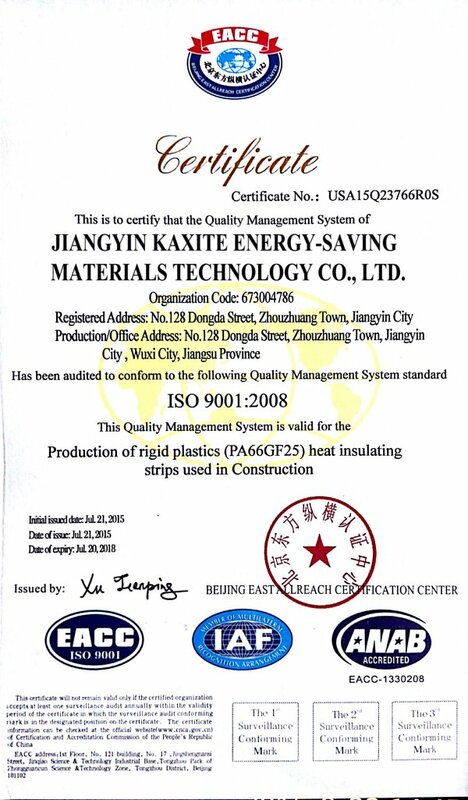 There were so many failures happened in the beginning, but finally, we successfully extruded out the PA66 profiles in 2003, and owned our first workshop for plastic extrusion in Jiangyin, China.STRENGTH OF KAXITEWe tried our best to invest and develop high performance PA66 profiles, and got great achievement at the end of 2008, became the biggest competitor for TECHNOFORM company.In 2011, we successfully used the Cold Hard Extrusion Process (as the first one all over the world) instead of water cold extrusion process on the material of PA66 which reinforced by fiberglass, and made rather great progress for the mechanical performance and high precision of thermal insulating strut, became the leader in the plastics extrusion industry.In 2015, we became the leader member in the National Standard Committee.In 2016, we have more than 8 patents.Now we have more than 40 extrusion lines, with production Capacity of 2 billion meters per year for all specifications. 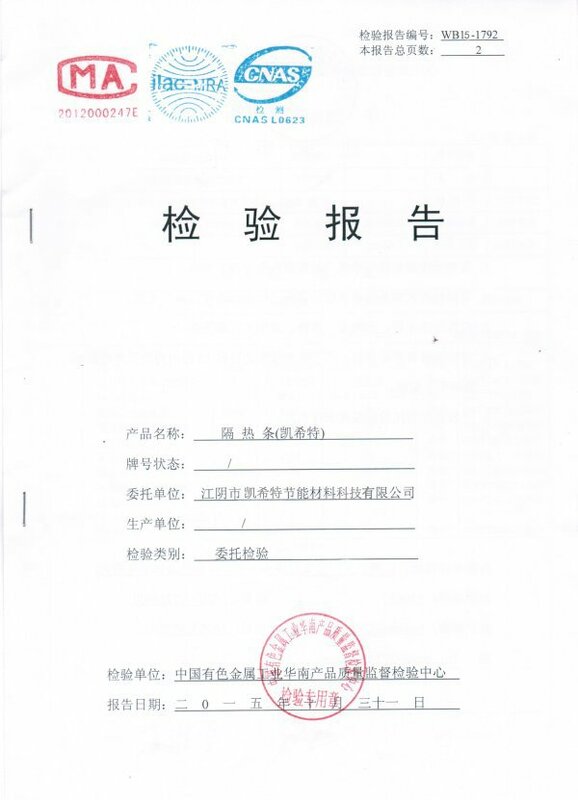 R&D and GRANULATIONMost of our earnings were invested into the researching and developing activities. We never stop trying and increasing the performance of our products. 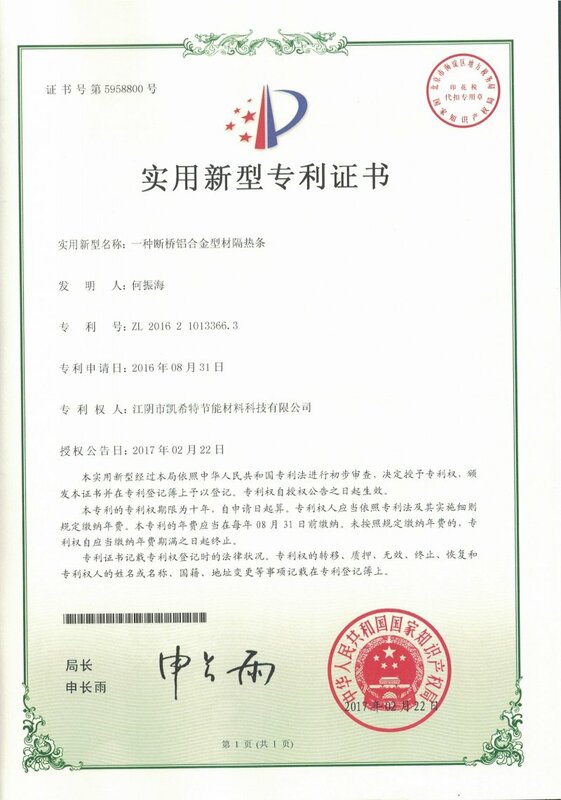 In addition, we have our own capacity of Granulation in order to control the performance of raw materials, which capacity of 9,855 tons per year, and is the only one who used the technology of Vacuum Drying for nylon granules.We developed our first patent in 2012 (the shape IC strut), which has both advantage of the firmness of shape I and the beauty of shape C. Now we keep on designing new shapes for realizing better Uf value for the aluminium frames. 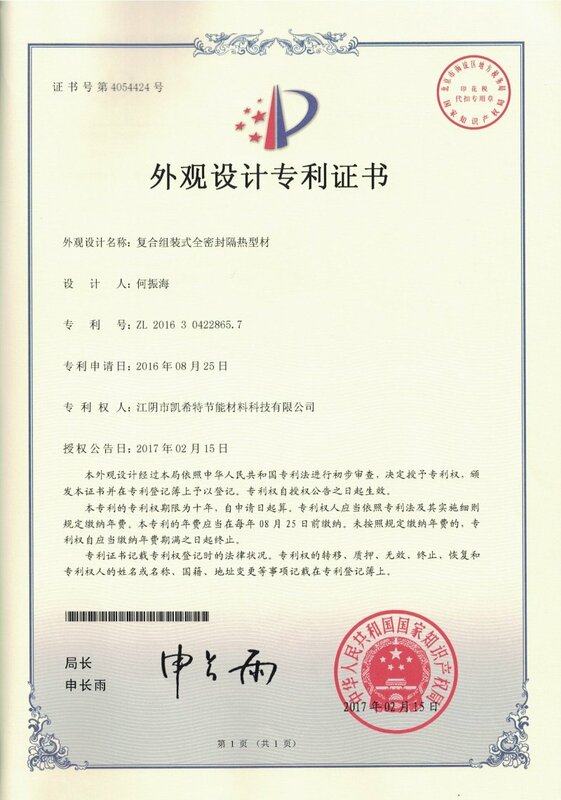 (currently could be lower than Uf 1.5 W/m2K)The processes were strictly in line with ISO9001:2008 and under the control of our own Quality Management Dept., the production procedure was inspected and approved by many european customers in the recent years.The hardest thing is not thinking, but realizing. Most customers were upset that nobody could develop the shapes that they designed, some counterparts even came and looking for help to our workshop. We developing and cutting new dies for our customer, of course we never failed to develop any shape for our customers. IN FUTUREWe're diversifiedly developed and dedicated in designing and developing series of energy-saving materials, apart from PA thermal insulation strips that used in heat break aluminium profiles and energy-saving window systems, we also could make the EPDM/ABS/PE/PVC extruded profiles, as well as nylon chain guide instead of PE material for automatic production line...Now say what? We'll go on using our way to develop higher performance energy-saving materials to make our world better!